These days, mobile devices aren’t just used for communication but as tools to manage every aspect of our lives, including our businesses. So ubiquitous is their use that by 2025, 80 billion devices are predicted to be connected to the internet—a significant increase from the less than 20 billion today. Unsurprisingly, mobile technology is also converging with the fleet management industry. With more and more companies embracing it to run operations and improve productivity. In fact, mobile applications are forecasted to have an increasingly tighter integration into fleet vehicles, specifically with providing data on health checks, mileage, and vehicle performance. The fleet industry is historically known for being one of the early adopters of emerging technologies, especially when it comes to mobile functionality. An online poll by Fleet News showed that 44 percent of respondents say drivers and operators use mobile devices (smartphones, tablets) to manage company vehicles. Moreover, 44 percent of UK-based companies with 100 or more employees believe mobile apps are helpful tools in fleet management. The same goes for 27 percent of smaller businesses. International fleet expert platform Corporate Vehicle Observatory echoes these statistics, stating that 41 percent of fleet professionals in Europe think that mobile apps greatly contribute to fleet management. Demographics will also affect the technological use of this industry within the next decade. Once Baby Boomers retire, the next generation of fleet professionals—born in the era of internet, social media, and instant connectivity—will be more open to using mobile apps for operations. With mobile use predicted to gain even more traction in the near future, it then becomes vital to observe how this technology will evolve and how it can be incorporated into your fleet. Telematics devices are prime examples of mobile adaptive technologies that have enabled fleet owners to control their costs while increasing their productivity. Whereas these were previously confined to GPS trackers installed inside vehicles, telematics devices now come with mobile apps that you and your drivers can use. Mechanical information – If you use a telematics solution that is mobile-ready, it would allow you to monitor your fleet anywhere you are in the world. Should there be any issue, you will immediately be notified, resulting in a quicker response. Faster accident response – Coming from the previous point, an immediate notification of an accident would mean a timely response. You can determine the cause of the incident even from miles away and call for any necessary help. Paperless documentations – Drivers can input the start of their journey, how long they were driving, and other information that you need to track their work days. Since every detail is stored in the cloud, you can download these anytime, eliminating the need to sort through stacks of papers. Less paperwork – Your drivers will not need to carry a lot of important documents that are prone to being lost. For instance, there are apps that can now capture signatures needed for transactions forms. Convenience – Convenience is one of the top reasons why fleet mobile apps continue to grow. With this technology, anyone on the field would not need to bring their laptops or set up a desktop. Traditional web platforms can now be used on a smartphone or a tablet. Drivers can complete their tasks (e.g. tracking orders) with just a few taps on their phones, allowing them more time behind the wheel. Streamlined process – With an app connected to a centralised system, all your operations will be streamlined. From inquiries, quotations, dispatching, job completion, to invoicing, the system will be able to log all information for everyone involved to access. It removes the risk of data duplication. It also lessens the time needed for reporting and operations meetings, as data can be easily accessed and displayed. Digital trail – Accurate documentation of every step of the process is vital for accountability and reporting. However, it would be a challenge to collaborate with workers who are on the field. With mobile apps, you can communicate real time with anyone wherever they are, allowing them to input data that you can then track from the office. Data gathered would also help you find out which areas need improvement and which areas are not profitable. Increased accuracy – A centralised system that tracks every step of the process means information would only need to be input once. It decreases the chances of human errors brought by manual data entry and allows you to easily look back on previous transactions and completed jobs. Digital data entry also removes the risk of inaccurate information due to legibility issues. Simplified inspections – By inputting vehicle details on mobile apps, inspections become easier and less time-consuming. You can easily look at current conditions of your vehicles, see any failure trends, and schedule maintenance checks. Better driver recruiting – With the younger generation entering the workforce, a technology-equipped company would be more appealing to these professionals who expect smart devices to make their work lives easier. By 2020, all fleets are forecasted to be equipped with telematics devices, which gives you all the more reason to trust a telematics solution with a mobile app. WEBFLEET Mobile, a part of TomTom’s WEBLFEET Management System, lets you access information on your phone or tablet. You can track vehicle data, trip data, as well as traffic conditions. It would also send you real-time notifications of journey updates, giving you the chance to call customers should there be any delay. 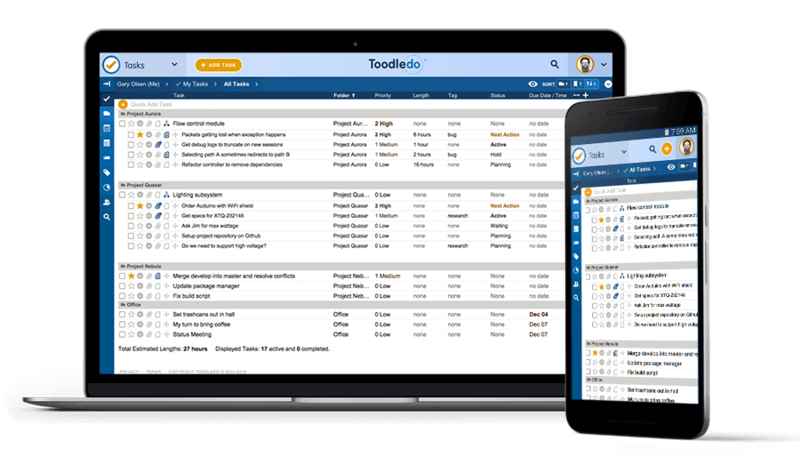 Toodledo is a productivity tool that would help fleet operators manage their checklists as well as collaborate easier with your team. You can customise your lists, break down big tasks into smaller tasks, or stop bad habits that hinder you from being productive. You can also jot down important notes so you will not forget. Toodledo is available for free on the App Store and Google Play. For those who do not want to do the math, this app would help you. Convert Units For Free can convert currency, physics, and engineering measurements. This app is available in the App Store and Google Play. Spending a lot of time in a vehicle can get boring fast. With Audible, you or your drivers can download audiobooks on a wide selection of topics. You can choose books for entertainment or books that would help increase your knowledge while on the road. Audible is available in the App Store and Google Play. In the UK, mobile phones are found to be the biggest cause of road accidents and deaths. As such, it is important that you teach and help your drivers to be less distracted while on the road. 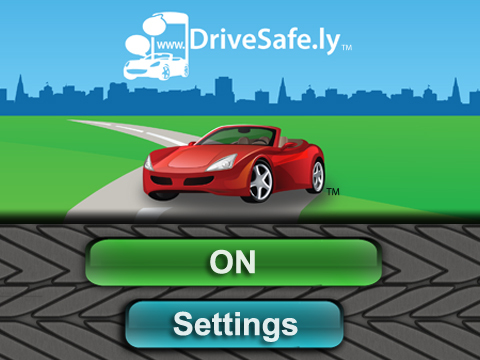 DriveSafe.ly is an app designed to minimise road distractions by reading aloud text messages and emails, as well as names of incoming phone callers. It would then send your customised auto-reply to acknowledge the sender’s message and let them know you are currently driving. Managing a fleet is complicated, regardless of vehicle count. With mobile technology affecting and changing the way fleets are operated, business owners now have the opportunity to make fleet management easier and more efficient. Incorporate this technology into your process and watch it increase your bottom-line. To discuss your fleet management needs, call and talk to one of our fleet experts on 0333 2000 670.